Rural health care is among the areas that stand to benefit from the Obama administration's National Broadband Plan because the Federal Communications Commission pledged $400 million a year to connect nearly 12,000 rural health-care providers. FCC has had a rural telemedicine pilot program at the University of California, Davis, which Chairman Julius Genachowski calls a success, Laura Sydell of National Public Radio reports. "If you have rural connectivity for health care, then patients don't have to drive two or three or four hours for their treatments — instead, [they] can stay back where they live, consult with a medical profession[al] remotely," Genachowski told Sydell. 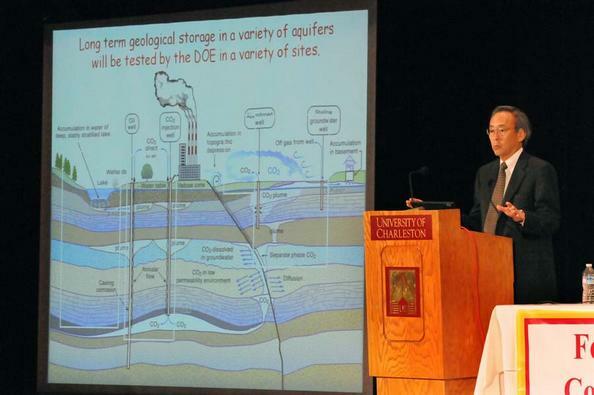 Energy Secretary Steven Chu told a University of Charleston crowd Thursday that West Virginians should not fear the Obama administration's energy policies and pointed to carbon-dioxide capture and storage technology as the future of coal. "It will save coal," Chu told reporters after speaking at the forum on the topic, Ken Ward Jr. of The Charleston Gazette reports. Chu said his agency's experts are "convinced carbon capture and storage "can be part of the solution to climate change, despite concerns about its costs, safety and the feasibility of ramping up from pilot projects to widespread deployment," Ward writes. "I think we can do this, but it will take time," Chu said. Also speaking at the forum was Democratic Sen. Jay Rockefeller, who made perhaps his strongest comments yet in support of the science behind global warming. The senator "blasted industry leaders and members of West Virginia media who promote the notion that global warming isn't real," Ward writes. "I'm concerned that powerful voices in West Virginia continue to argue that climate change is a myth," Rockefeller said. "I'm not on the same bandwagon that some of you are." While family farms and businesses could use more stability in the estate tax, they should be wary of proposals that make big cuts in the tax, writes one rural columnist. "Some are pushing for raising the exemption to $10 million for couples ($5 million per spouse) and dropping the tax rate on the largest estates to 35 percent. Others would repeal the tax entirely on farmland,"writes Chuck Hassebrook of the Center for Rural Affairs. "Each of these proposals is overly generous to wealthy heirs and puts farmers, ranchers and small business people who must earn their way at a competitive disadvantage. The overwhelming majority of family farms and businesses would be hurt, not helped." Nine years ago Congress and President Bush launched a gradual reduction in the estate tax, which culminated in its scheduled full repeal this year. "But there was a catch," Hassebrook writes. "Congress could not pay for permanent repeal. So next year the estate tax returns to its 2002 levels – with the first $2 million of an estate exempt for married couples ($1 million per person) and a 55 percent tax on the largest estates." Farmers who would inherit a tax-free $10 million estate would have big advantage over those who receive no inheritance or a modest one. The Environmental Protection Agency Thursday asked nine drilling companies for information about chemicals they use in hydraulic fracturing. The request was part of the agency's preparation for a long-term study of the effects of "fracking." In a letter the agency asked them to respond to the request "within seven days and to voluntarily provide the information within 30 days," Tom Zeller Jr. of The New York Times reports. EPA warned if the information was not handed over voluntarily, the agency "will be exploring legal alternatives to compel submission of the needed information." "Natural gas is an important part of our nation’s energy future, and it’s critical that the extraction of this valuable natural resource does not come at the expense of safe water and healthy communities," EPA Administrator Lisa P. Jackson, said in a statement. EPA concluded in a 2004 study that fracking was essentially safe, but "critics quickly condemned that analysis as sloppy and politically motivated," Zeller writes. "Congress used that study as partial justification the following year to exempt hydraulic fracturing from regulation under the Safe Drinking Water Act." The Daily Times of Salisbury, Md., pop. 28,327, explains the holy month of Ramadan to its readers by visiting the mosque in Salisbury and speaking with Dawood Ahmad, president of the Islamic Society of Delmarva (the peninsula with parts of Delaware, Maryland and Virginia). The period from Aug. 11 to today is observed by prayer and daytime fasting. Ahmad, the local imam, explained the prayers to the Daily Times: "You remember God. You bless God. You say, 'God is good.' You ask for forgiveness. You praise God." In Evansville, Ind., the Courier & Press interviewed soldiers who have recently returned from Iraq and Afghanistan about the minister in Florida who planned to burn the Qur'an. "This spawns more terrorists because it creates more fodder to feed recruits," Ernie Griffin, who served two tours of duty in Iraq as a member of the Indiana National Guard, told the newspaper. "It creates a backlash you can't really measure. I personally agree with Gen. (David) Petraeus that it puts Americans at risk overseas." The evening meals of Ramadan were a topic for the Columbia, Mo., Daily Tribune. The international mix of people at the Islamic Center of Central Missouri reflects the diverse community surrounding the University of Missouri. Roxana Rahman Nizam told the newspaper. The story also includes recipes and a description of the celebration with food after the fasting time ends. In Garden City, Kan., the local meatpacking plant has attracted an immigrant community, including many Muslims. The Garden City Telegram reports area cemeteries have a shortage of space that can accommodate Muslim burial practices. "This is very important to us. As long as we work here and we live here, we need a place to bury our people," Abdulkadir Mohamed, who has been a Garden City resident for nearly six years, told the Telegram. The Silver City Sun-News in New Mexico advanced a local church's interdenominational service held to counter the planned Qur'an burning. "It's like that saying, 'It is better to light a candle than to curse the darkness,'" Rev. Dr. Wallace Ryan Kuroiwa, interim pastor of Valley Community Church, told the paper. "In the big picture, this service might not make that big of a difference. But if enough people in enough places light enough candles, it won't be as dark." The Bowling Green Daily News in Kentucky reported on how area teens are observing Ramadan. “Muslim kids start to observe the Muslim tradition of Ramadan around 11 or 12, and I have been observing since,” high school soccer player Emina Husic told the paper. She plays soccer during Ramadan and gets very thirsty during practice: "Sometimes I want to quit, but when I think of the reason I am not eating or drinking, I don’t want to quit anymore." Several media outlets took the same approach as the Wyoming Tribune-Eagle, by getting local reaction to a variety of issues from area Muslims. Mohamed Salih, who lives in Cheyenne, told the paper that buring the Qur'an was highly offensive to Muslims everywhere, but that freedom of religion was one of America's "most beautiful" values. In Wilmington, N.C., Muslims told the Morning Star that they are celebrating the end of Ramadan, not the Sept. 11, 2001, attacks. "We’re American citizens," Musa Agil, who is chairman of the board of the Islamic Center of Wilmington, said. "We’re very patriotic. Nineteen deranged people are not typical of the vast majority of Muslims." 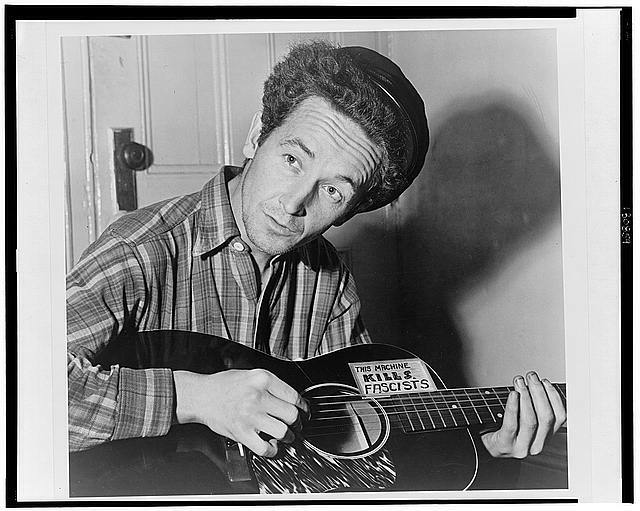 Tim Murphy, writing for Mother Jones, visits the birthplace of that "rabble-rousing, labor-loving, leftist," Woody Guthrie. His hometown is Okemah, Okla., pop. 2,823, "equidistant from Oklahoma City, Tulsa, and the surface of the sun," Murphy writes. 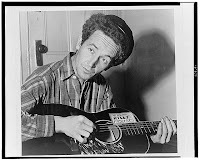 Guthrie, composer of "This Land is Your Land," described his hometown thusly: "Okemah was one of the singiest, square-dancingest, drinkingest, yellingest, preachingest, walkingest, talkingest, laughingest, cryingest, shootingest, fist-fightingest, bleedingest, gamblingest, gun, club and razor-carryingest of our ranch towns and farm towns, because it blossomed out into one of our first Oil Boom Towns." Guthrie's house has been torn down and replaced with local folk art. Teresa Labbe at the Okemah Public Library told Murphy the town is conflicted about Guthrie. "All the old-timers here all thought he was a communist," says Labbe. "Even now, some of the old-timers in town don't like him." A festival intended to honor him was halted by the local American Legion post. The library has a few items belonging to and about Guthrie. July marked the third consecutive month the rural unemployment rate was lower than the national average, but it still varied widely across the country. 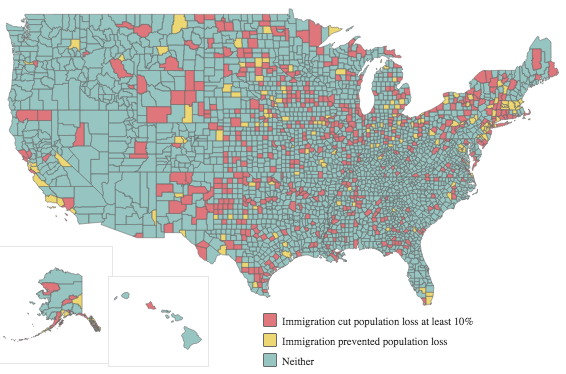 "Only 405 out of 2,038 rural counties — fewer than one in five — are within one percentage point of the national average unemployment rate," Bill Bishop and Roberto Gallardo report for the Daily Yonder. "States that had a large portion of their workers employed in construction and manufacturing — such as Michigan, Nevada, California and Florida — have been hit worst. 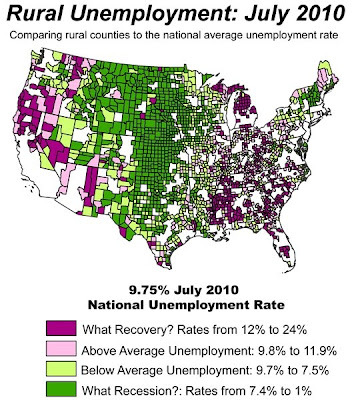 Farm states and counties with significant oil and gas production have low unemployment rates." In June we reported an Environmental Protection Agency proposal to regulate biomass emissions like those of fossil fuels and complaints from the biomass industry that the rules would place an unfair burden on them. In Montana, the growing biomass industry is watching the proposal closely as industry executives say it could have big implications for the state's forestry industry, Phil Drake of MontanaWatchdog reports. "If the rule goes through, I think it would be an enormous (impact)," Ellen Simpson, executive vice president of the Montana Wood Products Association, told Drake. "It’s a fledgling industry and a lot of things in motion … It could be a very big economic deal for the timber industry." Friday Sept. 17 is Constitution Day, and free teaching materials are available for educators across the country looking to plan lessons around the event. National nonpartisan group 1 for All, a coalition of educators, journalists, librarians, artists and many others, has developed creative lesson plans for grades K-12, accessible here. The campaign features ads that celebrate freedom in America and the ways "we exercise those freedoms in our daily lives. ... The First Amendment gives us freedom of speech, but it also provides freedom to tweet. It protects political speeches, but it also guarantees our right to sing, dance and perform." In February we reported the Obama administration had approved additional money for black farmers as part of the settlement with the U.S. Department of Agriculture over decades of discrimination. After five months of stalling in the Senate, the farmers have yet to receive the payments. "John Boyd, founder and president of the National Black Farmers Association, says that bills to fund the settlement have failed seven times in the Senate, and a black-farmer attachment was taken out of the recent farm-aid disaster bill," Frank McCoy of National Public Radio reports. "In August alone, Senate Republicans blocked the settlement twice." The settlement came from the so-called Pigford II case, which "occurred after the USDA admitted that thousands of other black farmers' claims from the 1990s went uninvestigated," McCoy writes. Senators are believed to be concerned about giving anyone over $1 billion in advance of November elections, even if the money was promised long ago. "Don't these legislators in states suffering economically know the money will boost the income in their state?" Gary R. Grant, president of the Black Farmers and Agriculturalists Association, asked McCoy. Rural East Tennessee, in 1938, is the setting for Get Low, a gentle new movie starring Robert Duvall (left) and Bill Murray. Everything about the movie feels so authentic. It is as sepia-toned as waking up in your grandmother’s rural Tennessee home while the morning sun shines through the yellowed window shades. The daffodils that occasionally appear in the hands of Sissy Spacek’s character stand out like an explosion. You could almost smell pine trees, too. The movie was filmed in Georgia, but the mountains look lush and green as the Smokies (and the Cumberlands around Oliver Springs, site of the true story on which the movie is based). 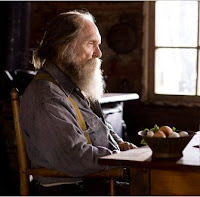 Robert Duvall is ever the masterful actor, saying more with less, playing the scary man in the town. He is Felix Bush, the bearded, crazy-haired hermit feard by the town's children. One morning, Felix hitches up a mule and rides into town to ask the preacher to hold a funeral for him while he is still alive. Preacher portrayals are so often dreadful in the movies. Usually, it’s more Elmer Gantry than kindly minister. What a relief that Gerald McRaney is a preacher willing to sit down, ask Felix what’s on his mind, then respond to him thoughtfully, if not necessarily in the way Felix would wish. The only other character who knows Felix and his secret is also a kindly minister, played by Bill Cobb. Eventually, Felix hooks up with Frank Quinn, the shady funeral home operator who says if your funeral home fails, you have no one to blame but yourself. Bill Murray is Quinn, an actor most interesting when he also says more with less. Is he honest? Is he a snake? Who knows. Murray’s assistant at his funeral home is played by Lucas Black. Blessedly, he is really from Alabama so – thank goodness! – he has a real Southern accent. So many movies are ruined by actors trying to sound Southern. Black, as Buddy, represents a kind of sweetness and purity that Felix can recognize, even though he’s been a hermit for 40 years. Another real-life Southerner, Sissy Spacek, is also the real deal actor. She has that authentic accent (she’s from Texas) and that steel spine she made famous as Loretta Lynn in Coal Miner’s Daughter. She, too, is wonderful in this movie, hinting at lost love. Was it for Felix? Felix wants this funeral party to find his own redemption and perhaps, forgiveness, of a grevious sin he felt he committed. Fortunately, Felix didn't make moonshine, he didn't spit tobacco. He crafted beautiful furniture, built a church. This movie offers so much more than frightful portrayals of rural hicks (ack, Deliverance!). Rather, it offers the kindness, sense of place, hope and sadness as rich as the rural heartland really is. This lovely movie is an homage to that place. Dean and Steve Prewitt, the last contract tobacco farmers in Whitley Co., Ky., are putting up what is likely their last tobacco crop. "I'm surprised by what has happened," Dean Prewitt said to Trent Knuckles at News-Journal.net. "Used to be, you could leave Williamsburg and drive to Corbin on this road and we could count 20 to 25 tobacco crops that you could see just along the edge of the road. Now they are all gone. It's kind of sad when you think about it. ... The younger generation just ain't going to do it. It's hard work." The News-Journal.net reports that 15 years ago, Whitley County farmers produced about 800,000 lbs. of burley tobacco, much of it high quality. Today, it will produce about 10,000 lbs., all from the Prewitts' farm. Whitley County has never been a big agricultural county but with the Cumberland River and some places on the Cumberland Plateau it was a good place to raise tobacco – until the federal program of quotas and price supports was removed, bringing economies of scale to the business of growing tobacco and moving it west, where larger tracts were available. "It's a case of the bigger producers here in Kentucky are getting bigger and the smaller producers are just getting out of it completely," University of Kentucky Agricultural Extension Agent Phil Meeks said to the News-Journal. "There are other things people are turning to, other things to diversify, but none of them really, alone, replace tobacco. ... There have been a lot of families that, once they quit tobacco, just got out of farming altogether." Whitley County's largest tobacco producer has switched his farm to another crop: corn for his feeder calf operation. Jim Clawson grew roughly 100,000 lbs. of tobacco a year for about 37 years on a 45-acre farm. He didn't plant any this year because he could not come to an agreement with either Phillip Morris or rival R.J. Reynolds on a contract. "I'm very happy with not growing it. 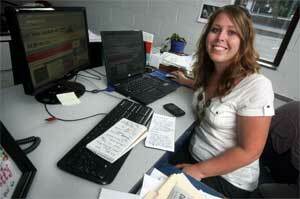 I would probably never go back again to raising tobacco under any circumstances," Clawson said. "This tobacco thing is just not good anymore." The first ethics policy for the agency that oversees offshore oil and gas drilling will require employees to report potential conflicts of interest. The policy implemented by the Obama Administration will also require Bureau of Ocean Energy Management, Regulation and Enforcement employees "to recuse themselves from inspecting companies that employ family members or close friends," Katie Howell of Environment & Energy Daily. "Newly hired inspectors are also barred from performing inspections or working with their former employers for two years after leaving the industry." Few people usually complain about a lack of lawyers, but some parts of rural America may be facing just that. In recently talking to a small-town Minnesota lawyer, Eric Cooperstein of Lawerist.com was struck by two statements in the conversation: "One was a complaint about how difficult it is to attract new lawyers to join law firms in rural areas," Cooperstein writes. "The other was the lawyer’s prediction that in the next ten years, half the lawyers in her quarter of the state were going to retire from the practice of law." "That prediction probably is not unique to Minnesota," Cooperstein writes. "New lawyers unable to find a job in a major American city may want to broaden their job searches beyond their local beltways." Cooperstein notes there is plenty of work to go around in small towns. Small town law firms may appeal to lawyers who aren't sure in what area they want to specialize, as most are general practices. "The cost of housing may be less than half of what you would find in a major city," Cooperstein writes. "Your mortgage could be so small that even with your law school debt you would have less overall debt than you would have living in the city." The future of coal in Appalachia will be the subject of a three-day symposium hosted by Appalachian State University Oct. 14-16. The keynote address will be given by journalist Jeff Biggers, author of The United States of Appalachia and Reckoning at Eagle Creek. Other speakers include Hywel Francis, labor historian and Member of Parliament representing the former mining communities in South Wales, and Helen Lewis, considered the "grandmother of Appalachian Studies," who has coordinated exchanges between the Welsh and Appalachian coalfields since the 1970s. Appalachian State, located in Boone, N.C., is located 50 miles from the nearest coal mine, and even farther by road. During the symposium "a range of scholars, artists, and activists will provide an interdisciplinary view of how issues relating to how coal, climate change, economy and technology have shaped the coalfields of South Wales and Appalachia," ASU writes in a news release. All of the events at the symposium are free and open to the public. A complete schedule can be viewed here. The U. S. Department of Agriculture's move to address anti-trust issues in the agriculture industry are an important step in the right direction, but more can be done, The New York Times writes in an editorial. "New rules proposed by [USDA Sec. Tom] Vilsack aim to restore the balance between independent livestock producers and the industrial behemoths," the newspaper writes. "The behemoths have screamed, a sign of how entrenched they really are." "An even bigger problem is increasing concentration and vertical control," the newspaper writes. "The number of hog farms in the country has declined by 89 percent in the past 30 years, the number of cattle ranches by 40 percent." The Times also points to the decline in open, cash markets for livestock, where just four percent of hogs were sold on the open market in 2010, as a key problem in the industry. "As a result, livestock is increasingly traded from packer to packer, not farm to packer, giving packers more control of the total market — in the pasture, in the barns, in the feedlots and on the killing floor," the newspaper writes. "I felt particularly uncomfortable at the scene (the night before), so I could only imagine how those children felt," Neeley told Freedom Communications, for a feature story on the company's Web site. "When the girl said it the way she did, very casually, I just couldn’t believe it." The question, "Who got killed?," became the headline for an ongoing series sparked by reader input regarding their shock at the problems facing children in the community. Star publisher Skip Foster appointed Neeley the lead reporter on the project, shifting her from the crime beat to covering children in peril. "It would not be an easy task or pledge to live up to," reported Freedom. "People, including the children themselves, are reluctant to talk about abuse or neglect. Secondly, it was very important to protect the children’s identities while still giving a detailed account of those involved." The series produced a number of heart-breaking stories about local children, and after much reaction from readers, Neeley began pointing them to local charity organizations. A group of local community leaders announced an event, called Connect, Commit to Change, to benefit the agencies helping children. Texas Railroad Commission inspectors personally supervised just 15.4 percent of the 10,140 surface-casings performed at drilling sites in the 12 months ending Aug. 31. The casing process, which has oil and gas operators sink steel pipe into the ground and cement it into place, is considered a key step in preventing water pollution at well sites, Jack Z. Smith of the Fort Worth Star-Telegram reports. Commission spokeswoman Ramona Nye said commission inspectors witnessed as many casings as possible, and for the rest, agency "geologists and engineers closely reviewed forms filed by oil and gas operators regarding well construction," Smith writes. Nye explained that when operators make their filings, "they must declare, under threat of prescribed penalties, that the information is 'true and correct.'" Sharon Wilson, an organizer for the Texas Oil and Gas Accountability Project, joined with other critics in saying the agency is too close to the industry to regulate it, telling Smith the industry "has been running roughshod over Texas for decades." She added, "We have hundreds of drilling waste pits that have been abandoned all over North Texas or not covered up and properly remediated. All these are potential sources of water contamination." It's no secret that coal is playing a large role in political campaigns across central Appalachia, and in Kentucky the issue may end up deciding whether Democrat Jack Conway or Republican Rand Paul wins the state's contested U.S. Senate seat. "In Western Kentucky, one concern is that cap and trade would cause higher rates for electricity produced by burning coal, hurting two large aluminum smelters that employ 1,500 people and support thousands more jobs," Bill Estep of the Lexington Herald-Leader reports. "In Eastern Kentucky, where coal is an economic linchpin, companies and many miners fear tougher environmental regulation will cripple surface mining." Bell County Judge-Executive Albey Brock predicts coal will be the deciding factor in who wins the eastern counties. "On Election Day, when they go vote, how (Conway and Paul) stand on coal is how these counties are going to go," Brock, a Republican, told Estep. Among the issues is the candidates' stance on cap-and-trade, which both say they oppose. Paul rejected cap-and-trade early on, and claims Conway originally supported the proposal before changing his mind, which the Conway campaign denies. "When asked whether Congress should do anything to limit greenhouse-gas emissions, Conway said the government needs to invest in technology that would allow coal to be burned more cleanly," Estep writes. "Paul said any discussion of whether the government should move to limit emissions should acknowledge that the nation’s skies already are much cleaner than 30 years ago." Conway told Estep he believed the science behind global warming was "fairly well established on that." Paul was less clear in his opinions on climate change, saying "I think anyone who makes an absolute conclusion is probably overstating their conclusion." In breaking with most mainstream agriculture industry groups, the Iowa Farm Bureau announced last week it favored ending direct payments to farmers beginning with the 2012 Farm Bill. "Iowa's position now goes to the American Farm Bureau Federation annual meeting in January in Atlanta, where it will be considered for the organization's position as debate gathers for the 2012 bill," Dan Piller of the Des Moines Register reports. "Southern cotton and rice farmers traditionally advocate for direct payments, so nobody at Iowa Farm Bureau headquarters in West Des Moines, where the delegates met, predicted an easy ride for Iowa's position." Five years after the federal government opened vast stretches of federal land in the southwest for solar energy generation, no electricity has been produced there. "An Associated Press examination of U.S. Bureau of Land Management records and interviews with agency officials shows that the BLM operated a first-come, first-served leasing system that quickly overwhelmed its small staff and enabled companies, regardless of solar industry experience, to squat on land without any real plans to develop it," Jason Dearen reports for AP. In Nevada, a Goldman Sachs & Co. subsidiary with no solar power background has claims on nearly half the land for which applications have been filed, but has no plans for any of the sites, AP reports. "The Obama administration says it is expediting the most promising projects, with some approvals expected as soon as September," Dearen writes. "And yet, it will be years before the companies begin sending electricity to the Southwest's sprawling, energy-hungry cities." In 2005, Congress mandated BLM approve by 2015, 10,000 megawatts of renewable energy on public lands, about enough to fuel five million homes during peak production.